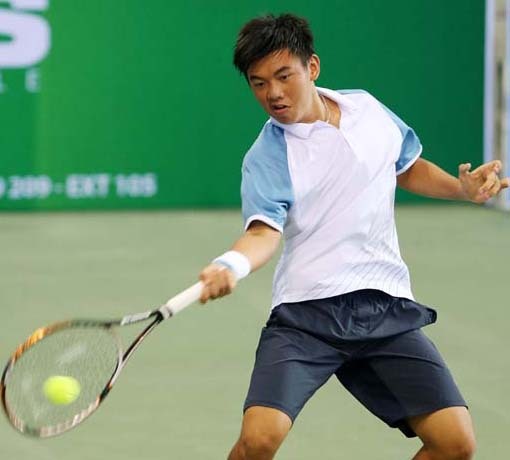 HANOI (VNS) — Ly Hoang Nam of Viet Nam and his Russian partner Bogdan Bobrov yesterday booked a berth in the semi-final round of the 25th Mitsubishi-Lancer International Junior Championships' boys' doubles in Manila, the Philippines. The No 2 seed pair won 6-3, 6-4 over Mitchell Harper/Hei Yin Andrew Li. They will next meet Alexander Klintcharov/Rhett Purcell, No 5 seed, who defeated Chien Hsun Lo/Cing-Yang Meng 6-7 (3), 6-1 [10-2] yesterday.